Mr. John Zimmerman has been providing financial consulting services to land developers and home builders for over 15 years. He has been involved in the evaluation of hundreds of land development projects and successfully assisted Clients in a wide range of real estate financing matters, some of which include: formation of land secured public financing districts, issuance of land secured debt, negotiation of development impact fee credits, securing reimbursement agreements, review of cost to complete analyses, negotiating Development Agreement and Conditions of Approval, preparation of Fiscal Impact Reports, public financing district restructuring, bond refundings, special tax prepayments, property tax disclosure, cashflow analysis, funding of public municipal services, and school facilities mitigation. Mr. Zimmerman has assisted clients in the sale and/or structuring of over $1 billion in public financing debt. He has been successful in maximizing and accelerating CFD bond issues by developing strategies that minimize public agency risk and maximize client cash flow. He has also been instrumental in assisting clients maximize development impact fee credits and reimbursements for the over-sizing of public infrastructure. 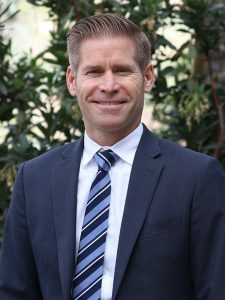 Mr. Zimmerman holds a Bachelors of Science in Business Information Systems from Brigham Young University, actively participates in the BIA, and is licensed by the California Department of Real Estate.